It’s not easy for many of us to get a retro camper van nowadays. Fortunately we can own the remote controlled VW camper van with ease. Sounds great? Let’s keep checking. This is an officially licensed and well crafted remote controlled VW camper van replica that measures 10.2 x 5.5 x 5 inches. 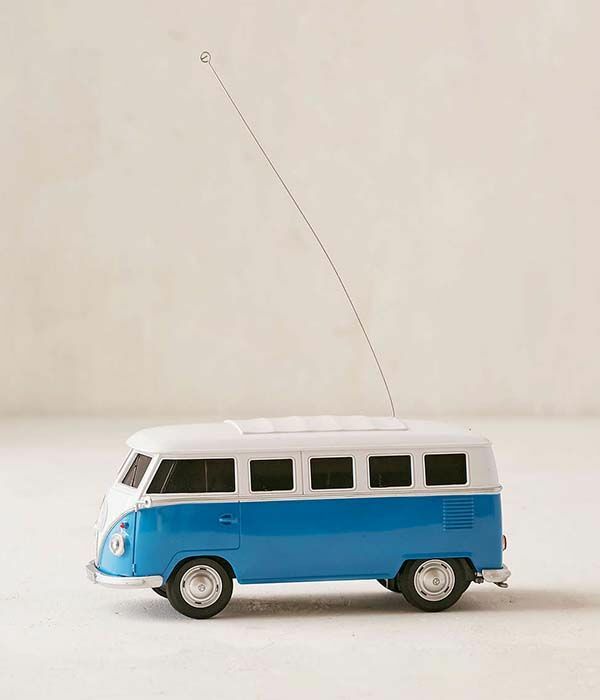 As we can see from the images, the RC car is shaped as a classic Volkswagen camper van, and the movable replica shows off lots off highly exquisite details from its original look. Moreover, if you have a few DIY skills, you may like to add more details in the van. The mini VW camper van is powered by 5 AA batteries instead of liquid fuel, and its cockpit is designed to fit in your hands. 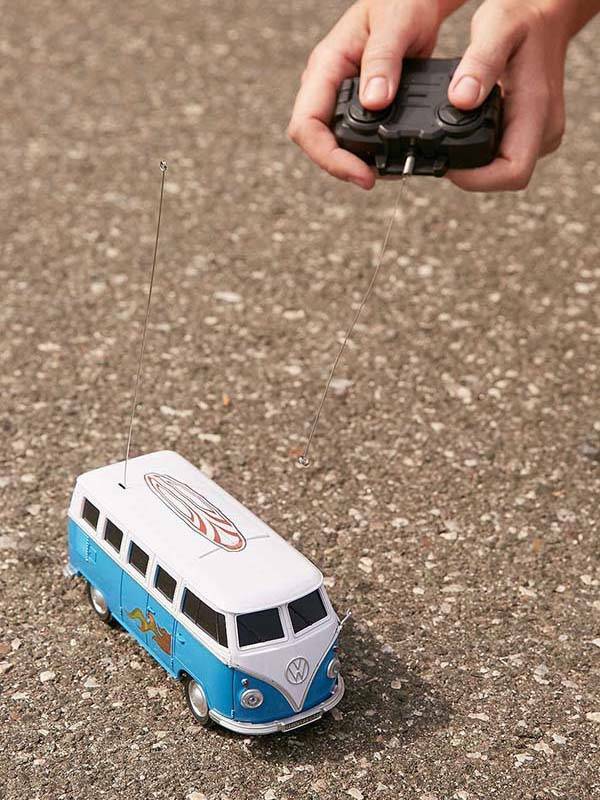 Using an included remote controller, you can drive the camper van anywhere in your house or backyard. In addition, the remote controlled VW camper van comes with three sticker, so you can customize the mini van according to your taste. The remote controlled VW camper van is priced at $35 USD. If you’re interested, jump to Urban Outfitters for its more details. BTW, also don’t miss the VW camper van cooler and more related cool stuff by following tags.